Niche FM Consulting was engaged by a well known NZ private investor who recently purchased a multiple building industrial site in Christchurch. Niche FM Consulting were tasked with a pre-tenancy office fit out for a new tenant in one of the properties buildings as well as deconstruction of existing shelving due to a change of use. Due to settlement dates, there was a quick turn around with the fit out needing to be completed within 4 weeks. Meet onsite with current owners of the property pre-settlement date to understand the current layout of the building, current condition and develop an idea of what works need to be undertaken to complete the fit-out to meet the new tenants needs. Meet the new tenants onsite to develop a detailed plan of what is required and liaise with the new Property owners to discuss the terms of the lease to ensure this is met. 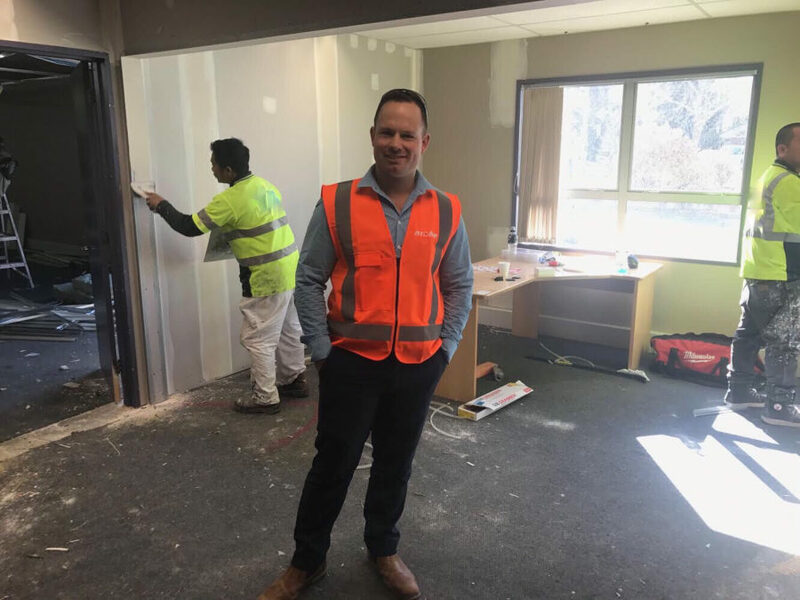 Meet up with Christchurch based contractors to relay the plan and assist them in gathering the relevant information required to price the fit-out. Received quotes with several options from relevant contractors and from here we refined the what was required and submitted a final quote to the Property owners. For this project Niche FM set up all the relevant contractors as Niche FM approved contractors and we managed the whole process on the owner’s behalf to minimise the need for the owner’s time and ensure the work was completed within the targeted timeframe. Once the relevant contractors were set up and approved we collected the relevant site-specific safety procedure documents and Job start documents. From here we began work on deconstructing the shelving in a manner that would allow us to either reuse or resell the shelving down the track as required. Throughout the shelving deconstruction Niche FM undertook regular health and safety inspections to ensure the site was being managed safely and that the quality of work was meeting our high standards. Once the final quote for the office fit out was accepted and the appropriate health and safety processes where in place the local contractor began work. During the fit-out process Niche FM again undertook regular site inspections of health and safety on site as well as gathering information for the owners for regular project updates. Upon completion of the project Niche FM ensured that all the work meet our high standards and from there we handed the building to the new tenants. The property owners along with the tenant visited the building post project completion and were very happy with the outcome. The building now has a clean modern look. Throughout the project we noted a few areas of damage due to lack of hardware during the original build as a result there were multiple holes in walls, these were also repaired and appropriate hardware install to ensure the longevity of the repairs and prevent future damage. The original scope of the project was delivered to the tenant on time. At the time of completion, it was agreed that other areas of the office could also do with a new coat of paint. This was also completed and the whole project was then brought to an end after a commercial cleaner was engaged to make sure that the office was handed to the tenant in a presentable fashion. The whole project including additional scope mentioned above was completed in approximately 5 weeks. Throughout the project we recorded and tracked progress using Smart sheets and Trello.